Michelle is the Lead Early Intervention Therapist at St. Joseph Institute for the Deaf. Michelle is an experienced Listening and Spoken Language Specialist in the field of Deaf Education. She earned a Bachelor of Science in Communication Disorders and Sciences from St. Louis University and a Master of Science in Speech and Hearing from Washington University in St. Louis, MO. 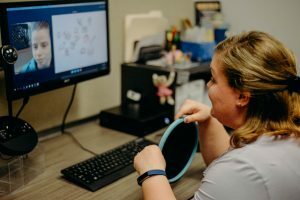 Michelle maintains teacher certification in the area of Deaf/Hearing Impaired in several states in addition to Missouri certification in Early Childhood Special Education and Cross Categorical Disabilities: Mild/Moderate. Michelle’s experience encompasses teaching in reading resource and classroom settings, provision of speech and language services to children with cross categorical diagnoses, early intervention family centered sessions, and internet therapy sessions with families and school districts. Michelle is a professional member of AG Bell and the Council on Education of the Deaf. She teaches a graduate level course at Lindenwood University related to young children who are deaf or hard of hearing. Michelle is an active participant in local and national early childhood and deaf education organizations and presents current findings relevant to internet therapy and early intervention at national conferences. She is licensed in Indiana, Florida, and Missouri. Jeanne Flowers is a listening and spoken language specialist who has been working with children with hearing loss for the last 10 years. She has a Masters in Science in Deaf Education from Washington University in St. Louis and a Masters in Science in Speech Language Pathology from Fontbonne University. Jeanne works as an early intervention therapist and an ihear internet therapist at St. Joseph Institute for the Deaf. Prior to her current position, Jeanne worked as a speech teacher in the speech department at St. Joseph’s as well as a transition kindergarten teacher. Jeanne has presented on teaching children with hearing loss as well as telethearpy at a number of national conferences including The American Speech Language Hearing Association Annual Convention (2011, 2012, 2013, and 2014) and The Early Hearing Detection and Intervention Annual Conference (2012). Jeanne co-authored the article Coaching Via Telepractice that was published in The ASHA Leader (October 9, 2012). 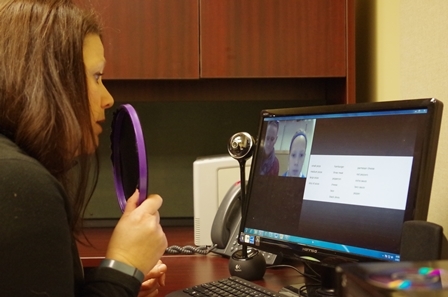 She holds speech language pathology licenses in Missouri, Texas, Indiana, Maryland, Florida, and California. She is an approved provider of early intervention for the state programs in Missouri and Indiana. 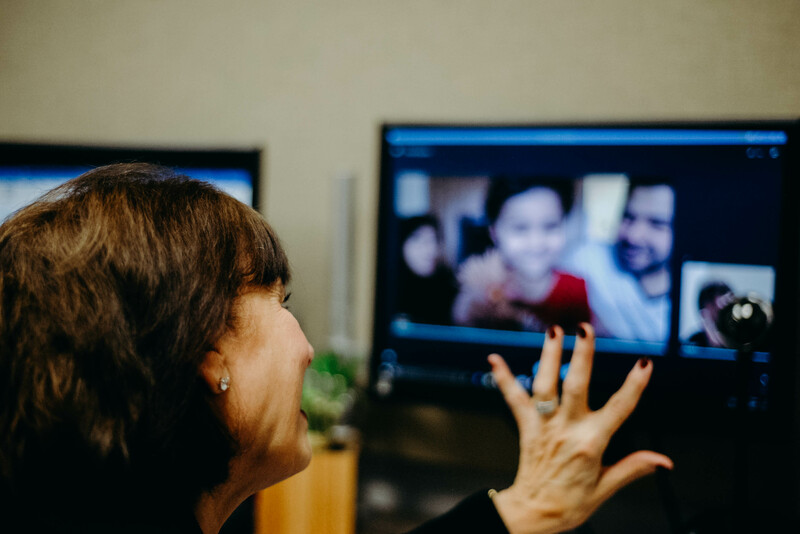 Barb Meyers has been teaching children with hearing loss for over 35 years. She has a BA in Deaf Education and a Master’s degree in Special Education from Fontbonne University. 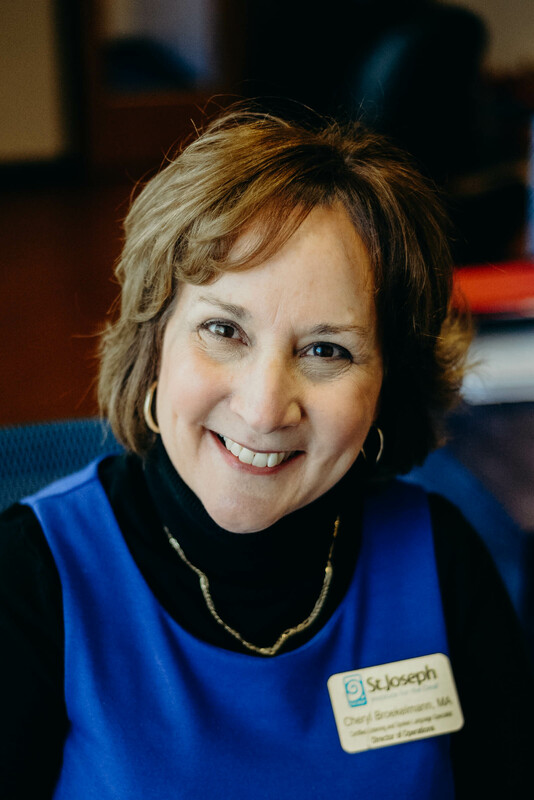 Barb taught at Litzsinger School in the St. Louis County Special School District, worked as a private tutor for students at St. Joseph Institute for the Deaf, Central Institute for the Deaf, and Special School District. Barb has been teaching at St. Joseph’s for over 30 years and has been trained in listening and spoken language. Her experience includes teaching in the Preschool Department, being a therapist in the Early Intervention Program in the Molloy Family Center and currently being an ihear therapist. Barb also is an educator in the Early Intervention in Deaf Education Master’s program at Fontbonne University and has supervised graduate students doing practicum work from Fontbonne University and Washington University. Barb has presented current findings relevant to early intervention and internet therapy at national conferences across the country. She is a professional member of the Alexander Graham Bell Association for the Deaf and the Council on Education of the Deaf and has licensures in Georgia, Indiana, Louisiana, Missouri, Kansas, Kentucky, Nebraska and Wisconsin.